This post is filed under Bacon, Beef, Bread, Cheese, Fast Food, Hall of Fame (Taste), Mayonnaise, Tomato, Wendy's. “…and there’s nothing I would change about it (except for making it free and available everywhere).” – Haha, that’s great. Looks good to me. I love the Frosty’s for a buck too. 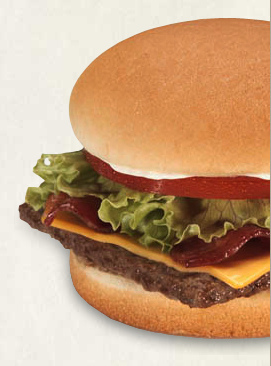 Two Wendy’s Junior Bacon Chees and two Chocolate Frosty’s for under $5….that’s a good meal. Next time you get one of these, ask them to add some onions, they won’t charge of course and it makes a great thing even better. 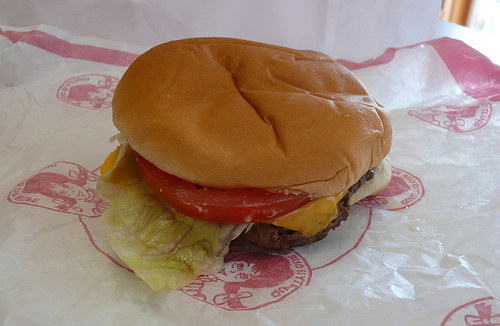 wendy’s burgers are usually pretty good… even when you get a cold one it’s usually still pretty tasty. however, i’ve had my share of dry burgers and those just taste like a greasy hockey puck with cheese. I’m shocked that you gave this a 5 out of 5 for taste. I personally think they taste just okay, but that’s not why I’m shocked. I’m shocked because of how bad all the other fast food has been rated. I will concur that the calories and taste are well worth a dollar, if that’s what you’re looking for. My go-to fast food order is at Wendy’s–three double junior cheesburgers and two baked potatoes. I split that into lunch and dinner. Costs about $6. 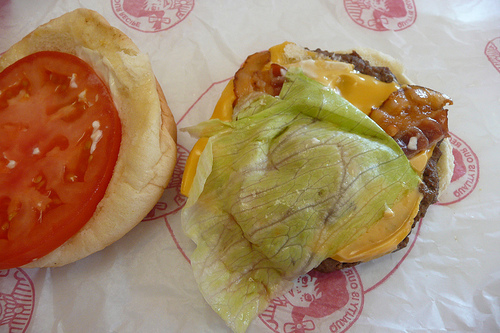 All of the fast food restaurants picture curly lettuce on the sandwiches which helps bulk up the sandwich for the picture when in fact they serve you plain old flat iceberg. This was a personal favorite growing up. The best is to take two (or three), and assemble them into a meaty-licious Wendy’s stack. I’m also excited by the comment someone left of asking for free onions. Brilliant good sir!